The effect of capitalism on the quality of life has been much debated. Albert O. Hirschman has classified the views of the impact of capitalism on the quality of life as civilizing, destructive, and feeble. I believe that multinational corporations (MNCs) should be and could be a civilizing force in today’s cosmopolitan but turbulent world. A number of initiatives will be discussed with special emphasis on business contributions to human rights and to the achievement of past and present United Nations (UN) initiatives. As MNCs undertake these initiatives, they will do well by doing good. Bédard, J., Nelson, T. G., Saltzstein, S. L., and Spaziano, J. L. (2013). US Supreme Court greatly restricts scope of alien tort claims; Holds statute does not apply extraterritorially. Skadden Insights April 23. Skadden, Arps, Slate, Meagher & Flom LLP. https://www.skadden.com/insights/publications/2013/04/us-supreme-court-greatly-restricts-scope-of-alien. Eccles, B. (2015). UN Sustainable Development Goals: Good for business. Forbes October 20. https://www.forbes.com/sites/bobeccles/2015/10/20/un-sustainable-development-goals-good-for-business/#1cba42202b50. Polman, P. (2016). Universal human rights: The foundations of the global goals. Huffington Post, The Blog. (original date August 2, 2016, updated February 7, 2017.) http://www.huffingtonpost.com/paul-polman/universal-human-rights_b_9185284.html. Prahalad, C. K., & Hart, S. L. (2002). The fortune at the bottom of the pyramid (Vol. 26, pp. 54–67). Strategy+Business. http://www.strategy-business.com/article/11518. Ruggie, J. (2011). Guiding principles on business and human rights: Implementing the United Nations “protect, respect and remedy” framework. Advance Edited Version, March 21. Human Rights Council, Seventeenth Session. Document A/HRC/17/31. 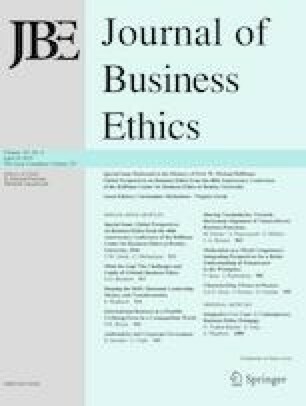 https://www.business-humanrights.org/sites/default/files/media/documents/ruggie/ruggie-guiding-principles-21-mar-2011.pdf.